It seems that I'm unable to connect to the server. No error code was stated. Don't get any error message? Can you attach a screenshot of where AirDroid get stuck? Please try again now. We've made some fixes. If the issue still remains, please attach the logs and exceptions here to help us troubleshoot (pls attach it as a zip file). Thanks. I'm getting the exact same error now. His screen shot looks like mine. I can access the Airdroid web site fine. Any clues? Rick Katribe wrote:I'm getting the exact same error now. His screen shot looks like mine. 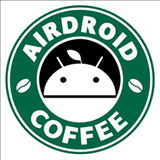 I can access the Airdroid web site fine. Any clues? I have the same problem a few days ago. Hi, anyone has this issue (Failed to connect to the server), please attach the logs and exceptions here to help us troubleshoot (pls attach it as a zip file). Thanks.